Since our previous attempt was somewhat successful, we decided to give it a shot with episode 2. Like the previous episode, we settled upon a theme and ultimately chose madness and insanity, because what is the anime hobby if not some degree of madness and insanity, especially if you’ve been around as long as we have? As discordant as these pieces may be, we hope you enjoy them all the same! Again, let us know what you think, whether it’s about the formatting of the show, track selections, or anything else that comes to mind. Also, please feel free to request tracks to be played in future shows and we’ll get in as many as we can! I certainly like Naraku no Hana more, but this definitely fits the theme better. Also the Ga-Rei song was an excellent add; love it! Love the “Theme” take on the podcast by the way; this way you’re more likely to stay fresh for longer and actually maintain this. For the “Madness” theme, the best song IMHO isn’t even a real anime song, but a remix. I’m of course talking about the Huge Hollow mix of Ichirin no Hana. This, however brings me to the major criticism now that I can see this pattern between the two podcasts. And that is that this site’s tastes are simply too narrow. I know this is a bit opposite of my previous review, but it’s almost gross how you guys are unable to venture beyond your Jazz/Classical/EasyListening comfort zone. This podcast, unlike the previous one, would have fit a LOT of high-energy rock or almost electronic/dubsteppish songs to break up the downtempo/melodic tracks. Maximum The Hormone’s What Up People would have fit in PERFECTLY here, but it’s too aggressive, huh? Holy crap, where was Magia? This podcast was so downtempo and low-energy it almost physically hurt. Hell, take Zetsubou Sensei that you indeed like. Kuusou Rumba would have been such a good way to break up the downtempo, but no. You guys pick a straight classical/instrumental track. Ugh. At least you addressed the mouse clicks and the white noise. The vocal clicks are still audible, and sitting back from the mic just made you harder to hear, so I’d recommend at least getting a barrier for your mic. But that’s so minor now in retrospect. Re: narrow tastes. Totally guilty. In my non-anime music listening time, the bulk of it tends to be, surprise surprise, classical and (some) jazz. Those are the two genres I have the most familiarity with and because of that, I can discern good songs to showcase in the radio show. On the other hand, if you were to throw me into the electronica/trance/dubstep/rock end of the pool, I’d be at a loss in terms of what I’d feature simply because I don’t know what would qualify as “Good music” within those genres to be able to pick out and showcase. One solution that I’ve been doing is to ask for song requests. Not actively, mind you, but you can hear it before the show closes and in the last paragraph of this post. That’s one avenue to cover my blind spots, but it only works if people make use of it. And I don’t have a large enough listener base to be able to take full advantage of that yet. Maybe I should post what next show’s theme is to give people some direction. Mic issues are being worked on. Fingers crossed for having that resolved by the next recording. I see, good luck! And yes, I do like the idea for sure. I’m positive people will have plenty of ideas if you hint at the next podcast theme. Maybe have us send in suggestions via E-Mail as to not spoil the subsequent podcast release? Well, if you want to get a head start, the next theme is sports. Or more broadly speaking, you can extend that to any sort of competition. Feel free to send me an e-mail or Twitter DM or whatever with 1-3 songs and I’ll select one of them. Commentary is optional. I figure that once I start incorporating more and more requests, I’ll expand the list up to 15 songs and have somewhere between 5-7 be fan requests. Thanks for your remarks! We’ll definitely keep this up! You should either make your voice louder or make the music quieter. The difference is too great. When I turn the volume where the music is not too loud, I couldn’t hear you talk. The plus side is that I’ve got a new mic coming in a week or so, so I can hopefully give that a run to see if it corrects those issues. I really enjoyed this. I agree that the difference between the volume of your voice and the volume of the music is too great, so I’m glad you’re working on that. It would be great if you would post the artist name in the index in case I miss it when I’m listening. Sure, I’ll definitely do that for the next recording. And I’ll go back and edit this one if I have time. Thanks for listening! 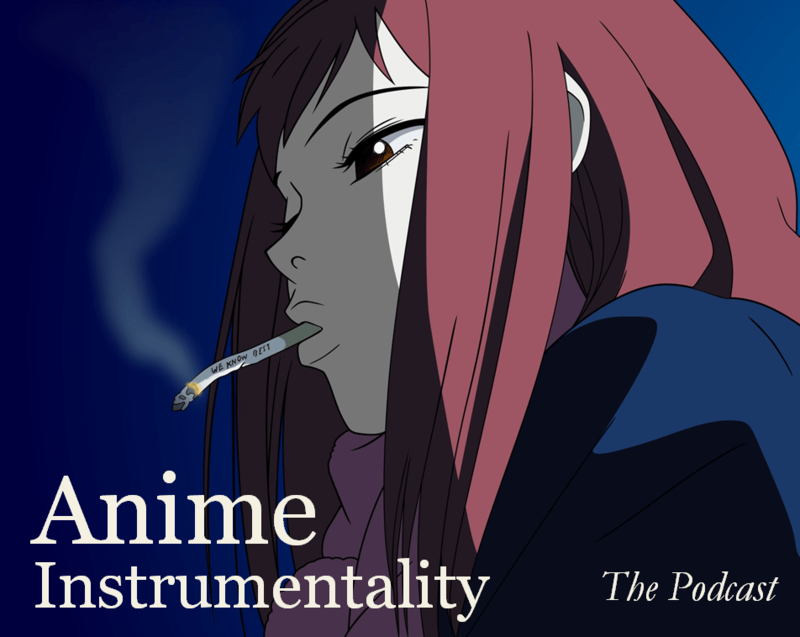 I haven’t been too vocal, but just wanted to tell you that I’ve really enjoyed your site since I found it last year and love the initiative behind Anime Music on the AIRS. It’s very easy for me to listen/read the discussions here, but I don’t always have the time to contribute in kind. Please know that I appreciate your efforts, and I’ll do my best to provide feedback for future episodes! Thanks and I look forward to seeing more of your thoughts! They’re definitely well-thought out and I learn a lot as well.